Kate Middleton and Prince William have erected a 950-feet-long hedge along their back garden in order to maintain more privacy on the grounds of Kensington Palace. Britain's Duke and Duchess of Cambridge live in Apartment 1A and they can often be photographed and recorded travelling across their extensive grounds in order to travel via helicopter. Last month, a tourist recorded the couple holding hands on their way to the chopper, their preferred mode of transport for a number of personal and public engagements. 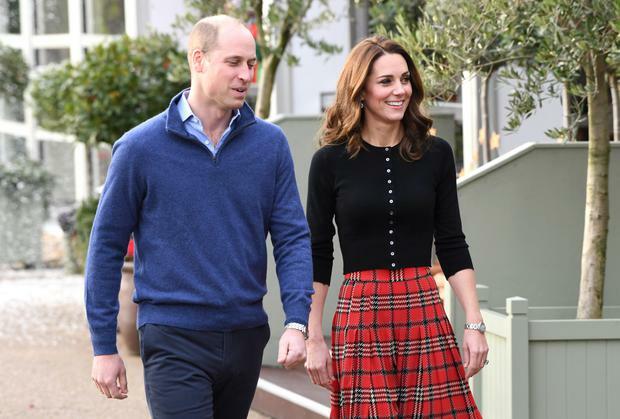 The Cambridges, Sussexes and other royals fly in and out of Perks Field on a near-daily basis and the increase in smartphone and social media savvy of royal watchers has meant their determination to maintain additional privacy. It's believed to have cost €17,000. The laurel hedges planted take up to one year to grow two feet, so the shrubbery is more an investment in their solitude than an immediate fix. In particular, it's believed the intention is to protect Prince George, Princess Charlotte and Prince Louis while they're at home. Keiran Southern Kim Kardashian gave fans a tour of her bathroom after causing confusion with her minimalist sinks. Melanie Finn Top Irish blogger Holly White has confirmed she has parted ways from her businessman husband Andrew Wynne.